This Easter/exam term, please pay careful attention to the various bank holiday and election days which force us to cancel classes at particular venues or with some teachers. 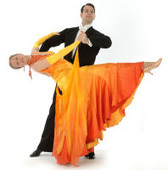 The best advice for new ballroom & latin beginners this term may be to attend both the Tuesday and Thursday sessions (or Saturday classes) rather than just relying on Thursdays. On Saturday 27th April and Sunday 28th April, the CUDT will be holding some special pre-varsity dancesport training sessions with the team coaches out at the University Sports Centre - mostly in the main Sports Hall. These sessions are open to all CDC members but are not suitable for absolute beginners. The price is £7 per day or £10 for both days.